Do you know how many uteri around the world are shedding their lining right about now? Do you know how many of those are causing their connected bodies pain? According to someone’s (unreliable, but I’ll take it) math on Quora, about 334 million people are menstruating at any given time. As for the people in pain, well, my guess is… a lot. In fact, one study found that 84.1% of people who menstruate experienced period pain at some point in their lifetime, with 43.1% reporting that pain occurred during every period. As someone who has dealt with painful, at times debilitating periods, I was thrilled to discover De Lune. De Lune is a brand with a purpose, and I had the privilege of learning more about that purpose from De Lune’s Founder & CEO Mimi Millard. Check out our interview below! Let’s talk about De Lune. What is the inspiration behind the company? What problem(s) are you addressing and how are you solving them? The majority of menstruating women (some studies estimate as high as 90%) experience period pain. Painful menstruation has become so common that we as a society have come to accept it as normal. But it’s NOT. According to Naturopathic Doctor Lara Briden author of the Period Repair Manual, “A healthy period should arrive smoothly and without symptoms.” Unfortunately, that statement sounds far-fetched and dreamy to most women today. Period symptoms require treatment that will actually restore menstrual health instead of temporarily masking pain. De Lune is on a mission to empower people with periods by providing safe, effective, clinically-researched solutions for period symptoms. The inspiration came in the form of my own debilitating period cramps which disrupted my life since age 12. By the time I was in college, they were excruciating every month, and they were keeping me from attending all my classes. One day while walking to class, I fainted due to complications from a popular painkiller I was taking. As I started to explore alternative treatment options I discovered that most women’s symptom management is just over-the-counter painkillers, which are designed to temporarily stop pain, but can cause bad reactions and don’t support the long-term health of your menstrual cycle. De Lune is here to say: You have another option!! How exactly does De Lune work? Who should use De Lune? We offer two core products that go hand-in-hand to restore menstrual health and eliminate the worst symptoms: Pain Tonic and PMS Pills. Both are gluten-free, vegan, made with organic ingredients, and safe for ages 12 and up. We recommend De Lune for anyone and everyone with a period, unless you’re pregnant or breastfeeding. Even if you currently take painkillers or use hormonal birth control to manage your period, we still recommend taking De Lune to replenish the critical nutrients you need for a healthy, symptom-less cycle. De Lune Pain Tonic combines clinically-researched nutrition with organic herbs to alleviate period pain. Anti-inflammatory herbs such as calendula, dong quai, ginger, and motherwort are brewed in organic apple cider vinegar and fortified with pain-relieving nutrients such as zinc, magnesium, and B vitamins, creating an easy-to-use liquid formula. Pain Tonic is a natural alternative to over-the-counter painkillers typically used to treat period cramps. Take 5mL in water or tea during crampy days. De Lune PMS Pills offer daily broad-spectrum support for the cluster of difficult symptoms that occur before, during & after menstruation, like mood swings, irritability, anxiety, fatigue, trouble concentrating, cravings, headaches, body aches, and bloating. With harmonizing rhodiola, uplifting saffron, and mood-stabilizing calcium, iron, vitamin B6 and L-Tryptophan, PMS Pills are decades of clinical research distilled into the best anti-PMS formula science has to offer. Take 2 tablets a day. What advice do you have for someone who is experiencing intense period pain and isn’t being heard/taken seriously by their doctor? You may also find great physical and emotional relief from joining a group where your symptoms ARE taken seriously – for example, a chronic illness support group, a women’s gathering, or just a circle of friends who may be silently going through the same thing and wanting to share. You donate 10% of your profits to women’s health research, which is amazing. Thank you for that! Any insight on what you believe to be the future of women’s health and challenges that need tackling? What is your number one tip for self-care during your period? Say no to things, and don’t feel guilty about it. Use your period as a wonderful excuse to take it slow. Stay in if you feel like it. Be intentional about what you expose yourself to during your period, as you may be more sensitive to sights, sounds, and stressful situations. And if you cancel plans with someone, consider telling that person exactly why! Many people don’t realize how disruptive menstruation can be, and it might be a great opportunity to broaden their understanding and normalize the menstrual health conversation. How do you maintain your mental health as an entrepreneur? 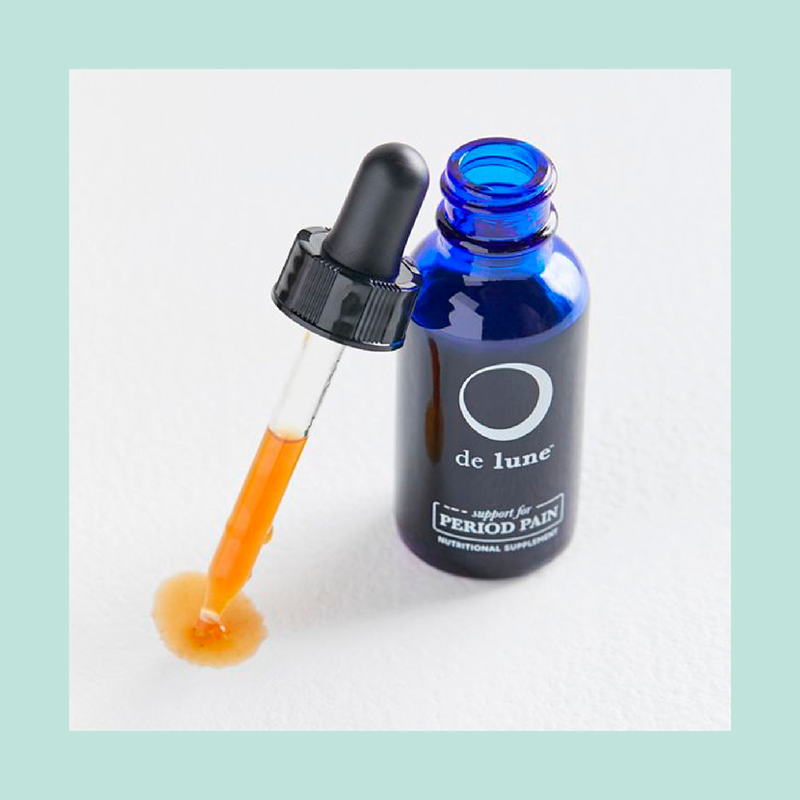 To learn more about De Lune products and their incredible mission, be sure to check out their site!